Better late than never from Garmin. Satnav giant Garmin has finally arrived on the iPhone with the new StreetPilot application. 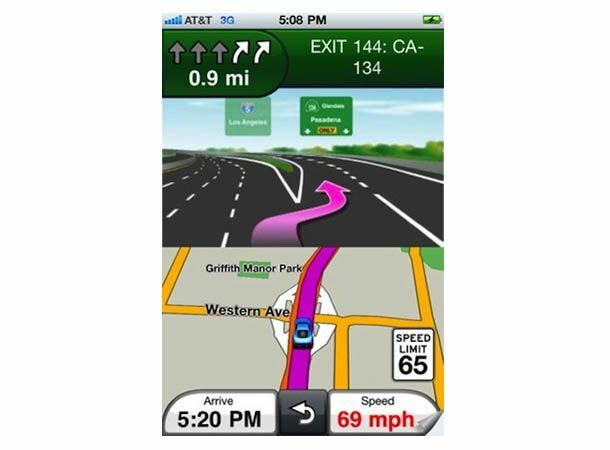 Garmin joins the likes of TomTom for iPhone and Co-Pilot on Apple's smartphone and offers turn-by-turn navigation, live traffic updates and up-to-date maps downloaded from Garmin's servers. There's also speed limit information from major roads as well as the usual dose of interesting places, integration with your contacts book as well as the ability to call directly from a listing. There's also weather updates, 2D and 3D and easy switching between portrait and landscape view. Naturally there's iOS multit5asking integration which allows you to run the app in the background and control the iPod too. The move comes after Garmin placed all its eggs in the ill-fated Nuvifone basket, which attempted to combine its satnav expertise with a smartphone with extra large icons. The only problem was that iPhone and Android phones already had top quality satnav apps making their rather basic attempt at a smartphone rather redundant. The app will cost $39.99 in the US. Can it take on TomTom and win?